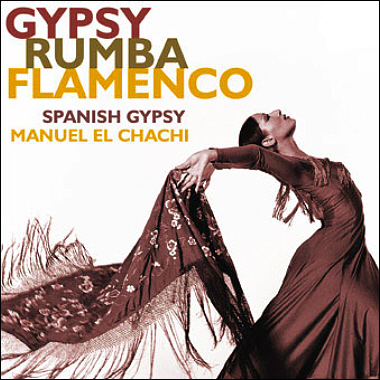 Spanish Gypsy and Manuel el Chachi play Gypsy Kings-inspired contemporary Flamenco. This is exhilarating, fast Flamenco guitars, palmas (clapping), zapateados (‘feet’), bass, bongos, drums and cante (singing). (Includes the Gypsy Kings hit song ‘Gitano soy’).